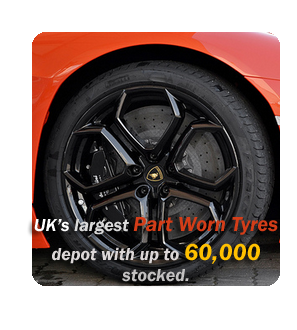 We are the largest quality Part Worn Tyre depot in Cheshire (Owned and operated by Top Geat Tyre Centre Ltd) with up to 60,000 part worn tyres stocked. We suply tyres in North West England, including Ellesmere Port, Chester, Liverpool, and all surrounding areas. You don’t need to phone anywhere else to get told they don’t have them in stock.